Almost all of the mainstream media gave Baldwin a total pass for his reprehensible behavior last June. In fact, afterwards he won a weekly show on MSNBC (which is currently collapsing in the ratings). Maybe the media was exhausted after destroying cooking guru Paula Deen over something she said thirty years ago. Nolte refers to Baldwin as an “actor,” but as I mentioned back in August, when the idea for Baldwin’s show was initially floated by NBC, if the former actor is going to host a talk show for NBC, then he’s now in the same profession as the photographers he loves to threaten and hurl abuse at — they’re both working journalists attempting to gather news and information and present them to the public. . . .
How’s that great new addition working out these days, Phil? We’re all “Breitbart libertarian trash” now! And hey, Alec, if you want to sue me, get in line. Everyone’s favorite anti-Christ impersonator, seems unfazed by the Baldwin rant. Finrod wins, close the comments. Thanks for the memories …. I think Finrod might have won the Internets today. The Anti-Christ might sue for defamation for that comparison. Wow. Dan sure hates Jesus, doesn’t he? I love Finrod’s comment too, but Alec Baldwin is not worthless. Alec Baldwin is just a gold mine of Lefty comic hypocrisy. Alec Baldwin is the gift that keeps on giving. Almost as bad as Obamacare! What an arrogant son of a gun. 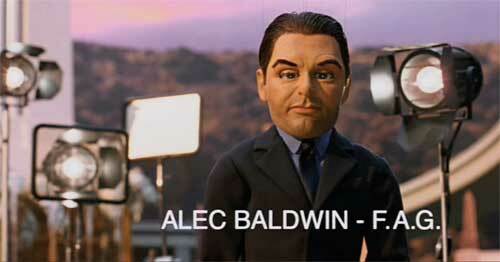 Alec Baldwin is mentally ill…otherwise known as a Democrat. Mr. McCain, I am saddened, saddened that you did not accompany this story with an illustration. Can you imagine being stuck on a location shoot with this freak?